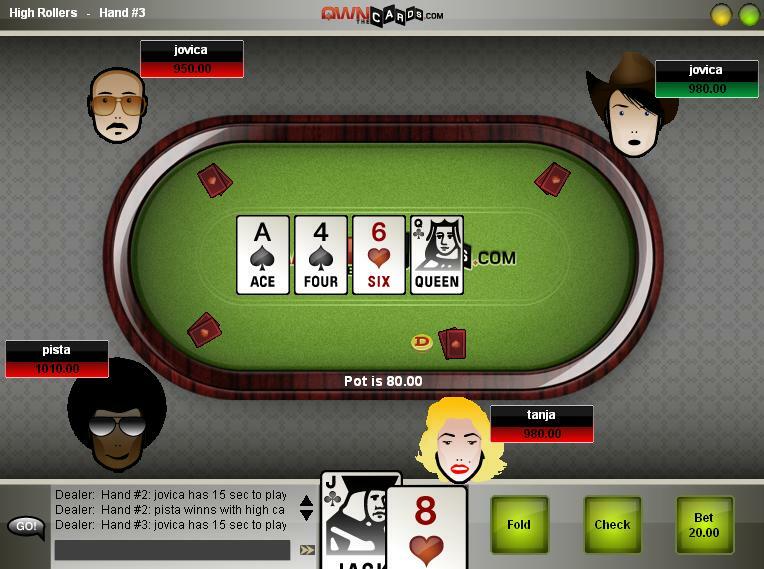 This page contains screenshots of OwnTheCards poker application. Click on the pictures to see full-sized images. To find out more about the game itself, please visit the OTC features page. 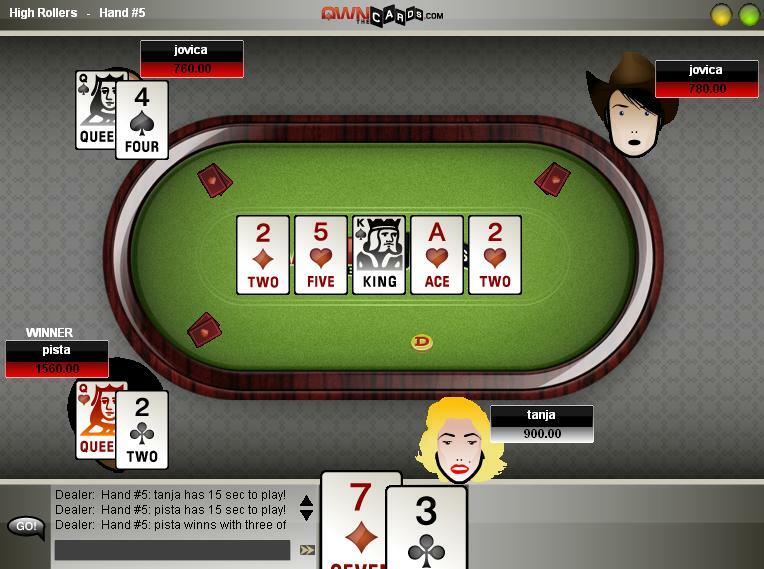 Attractive yet simple UI adds to the excitement of the game but doesn't obstruct the players from concentrating on the cards. When the game unfolds it is easy to visually keep track of all relevant factors of the game: cards, pot, player calls and hand outcome. You can choose between 3 stylish table covers, all with rosewood frame. 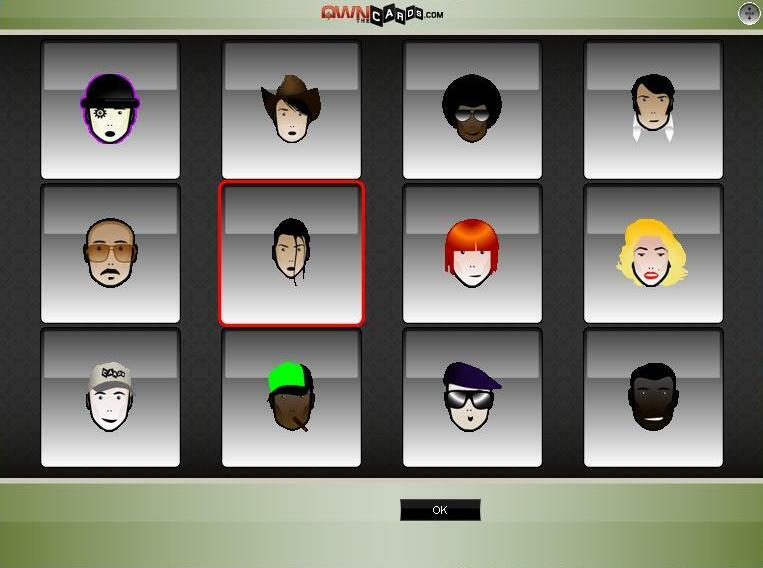 You can choose between 12 different characters to illustrate your character and present mood. 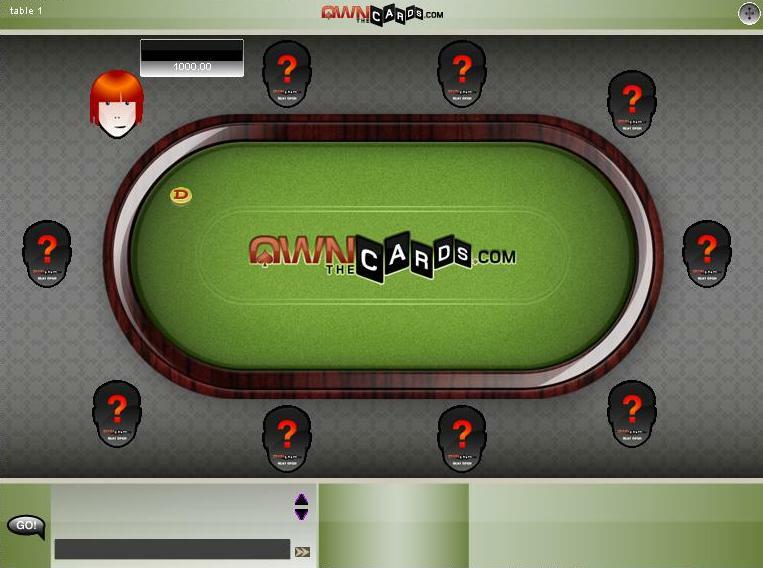 Any player can create a table, other players may join in at any time by simply selecting an interesting table from the list. 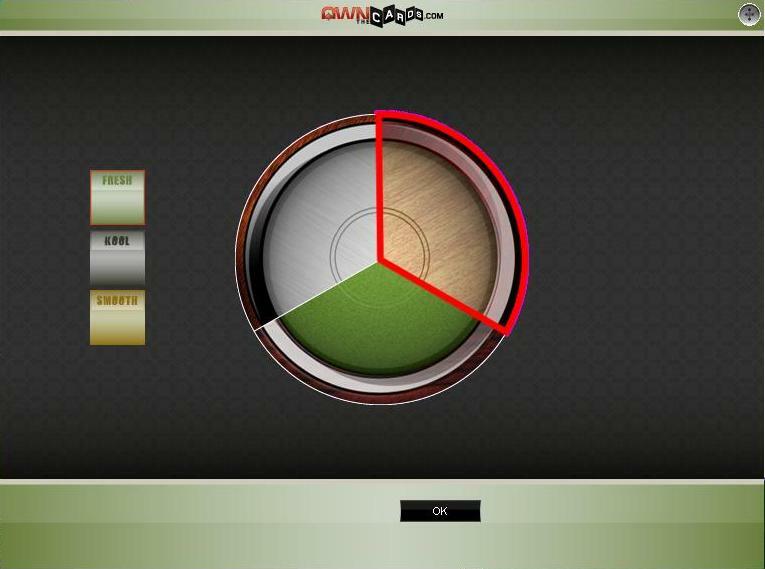 Once at a desired table, player can choose his/her seat which best matches position of other players. 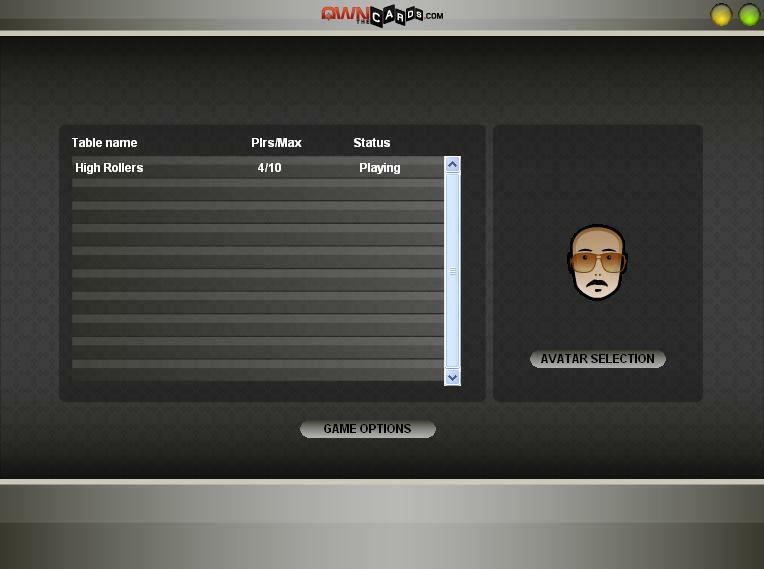 Ready to play poker for free?